January | 2013 | Words. Sentences. Stuff. Well, they said it couldn’t be done. Actually, that’s not true. In reality, they were all very supportive. Anyway. Three days. Three new publications. Whichever way you look at it, it’s uncommonly decadent and reason, were it ever needed, to break out the Ferrero Rocher and Um Bongo. My short story — The Proper Name for Killing Birds — went live on Everyday Fiction this morning. The more observant among you, my reading several, will notice some similarities between this publication and the one mentioned yesterday. Good for you. It’s a story about that moment when you realize that time has moved on, that life has taken a bit of a growth spurt without telling you. It was written in April of 2012 during a time when I was in immigration limbo, waiting for a visa that would kick-start a new life. 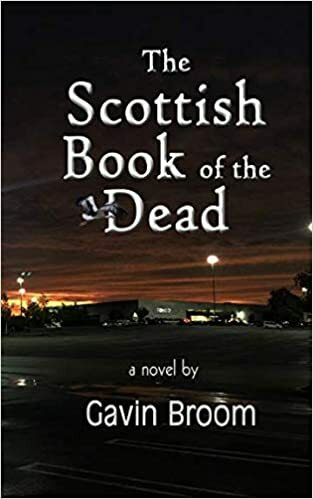 I had plenty of time on my hands — too much time, really — to reflect on my thirtysomething years in Scotland so perhaps that’s how this story came about. It’s also an example of something I do quite often, which is come up with a title first and then wait to apply a fitting story or poem later. This one had been hanging around for a couple of months on my Titles I Should Really Use At Some Point list. There are some that have been there for years. When, oh when, will I ever find a story to fit Jobby Jenkins and the Miracle at the Four Sisters? It’s been a while since I’ve updated my reading several with details of newly published work. As most people still end up here after searching for the Paranormal Activity poster, I’m guessing this has gone largely unnoticed. Well, let me start to right that wrong by advising you all that my short story — Super Antihero — went live today over at Bong Is Bard, which must be the quirkiest titled publication I’ve ever been in. Written at the start of 2011, it’s a story about consequentialism and how a seemingly positive act can have all manner of negative consequences. It’s an idea I’ve been thinking about expanding into at least novella territory for some time. The outlining continues.